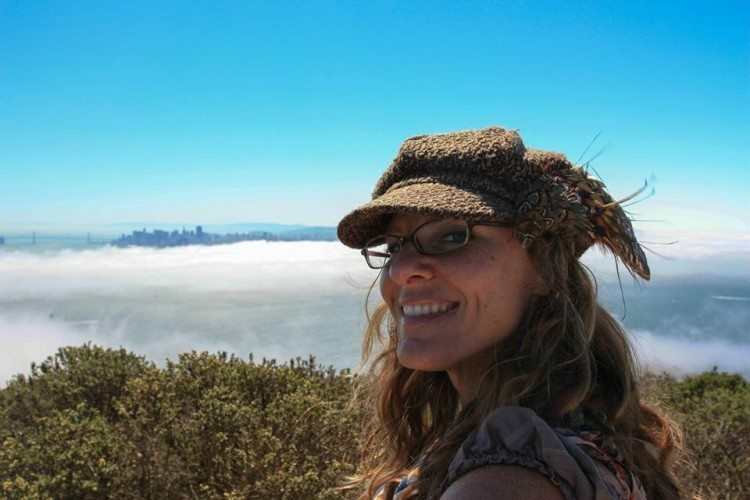 In her studio in Santa Cruz, Angela Blessing is creating one off, unique pieces for those people who wish to enhance their powers of insight and healing. 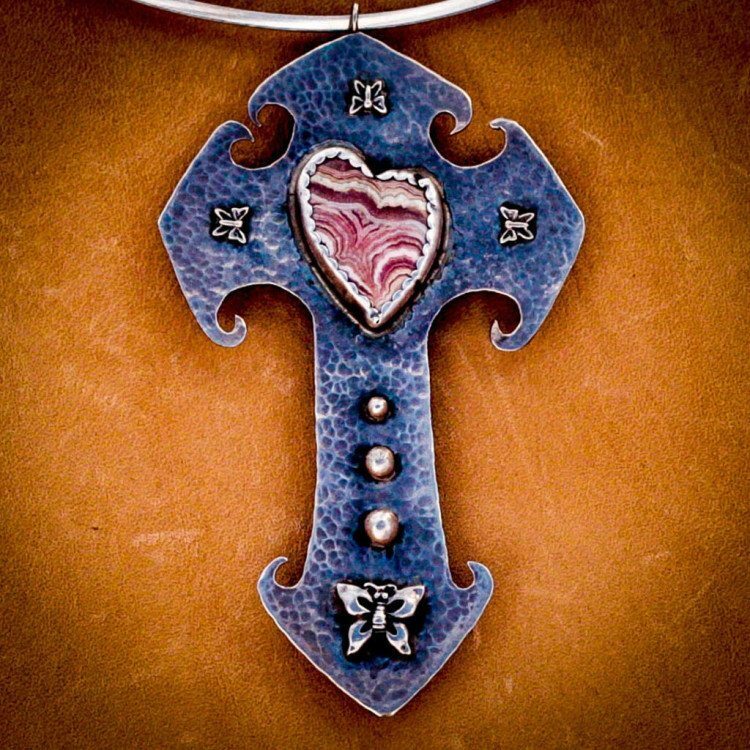 As a skilled artisan, Angela can design a piece of jewelry especially for you. 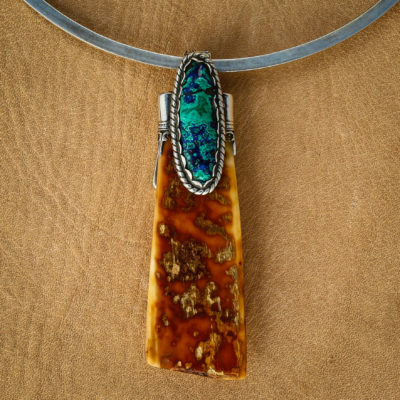 One that speaks to you and emanates your style and energy. A talisman is an object that can be shaped to represent all manner of objects. 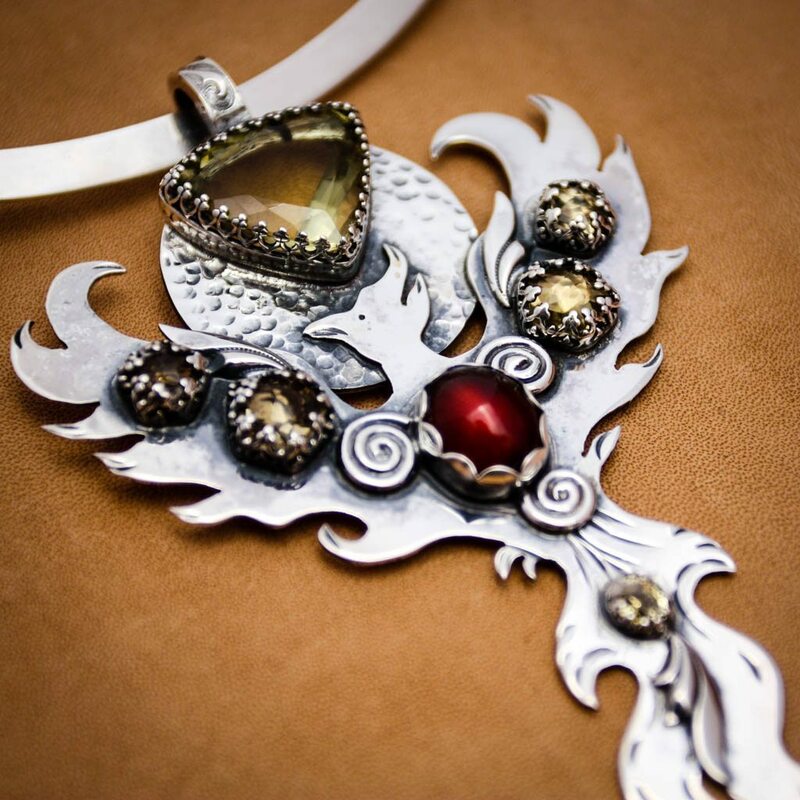 It can have marks which represent power and magic for those who wear it. 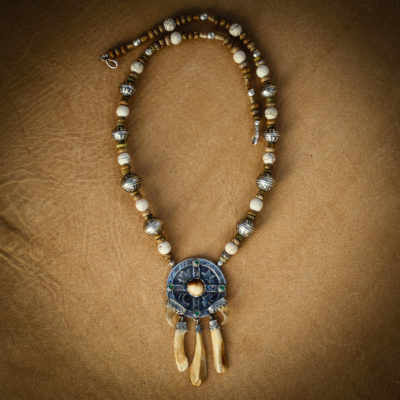 It is also said to offer the wearer protection and enhance their powers. We have all seen talisman and amulets in movies and television shows. Indiana Jones, for example, spent a lot of his time seeking them, and then dealing with their power. 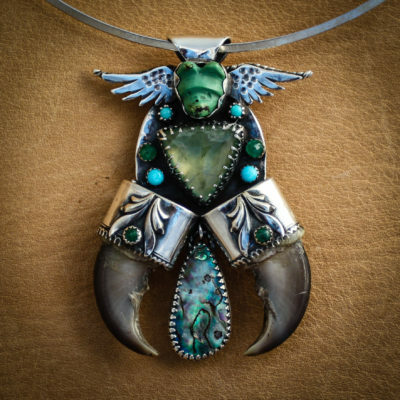 Talisman are not just for shamans, prophets, healers or treasure seekers. 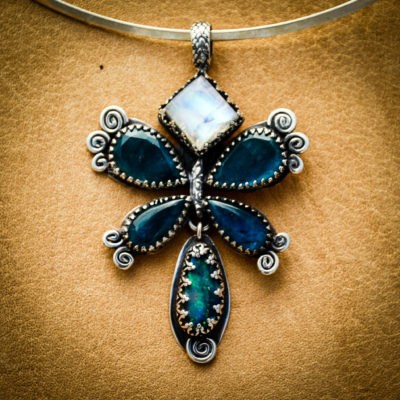 You too can wear your own magical object created in powerful silver and embellished with stunning gemstones. How would a handcrafted piece of jewelry suit you? If you are a spiritual soul who sees yourself on a journey of wonder and adventure, you will already be attracted to the idea of wearing a symbol of this journey. Pieces are created using ancient symbols and geometry. Then gemstones and precious stones are added to the design to further enhance the power of the symbols. The geometry of designs develop a communication between the Divine, Mother Earth and us. They are sometimes religious in their symbolism, and sometimes pagan. Regardless, many of these symbols are sacred, and take on a wiser, complex meaning of their own. Overall, they offer the wearer the ability to draw on the ancient powers, purity, love and, most importantly, their role in bringing greater good to the world. Take a closer look at Angela’s Blessing’s work and be drawn to the mystic and magic. 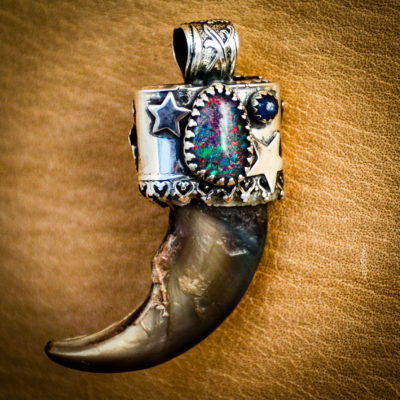 You may just find the talisman that speaks directly to your heart.